Among the new exhibits at the museum is this pristine example of a folding bicycle that was used by the allied airborne forces in WW2. The Polish Airborne Brigade used them in their reconnaissance and communications units. Jakub Kochan the director's father was second in command of the Recon Platoon for 3rd Bn of the Brigade which consisted of a bicycle mounted section and a motorcycle mounted section. This was a particularly welcome acquisition by the Center for Military Studies and is hard to miss at the CMS Annex at the Museum. People are beginning to learn about enigma and the Polish role in cracking the cypher. How Polish mathematicians were so critical to the efforts at Bletchley Park. 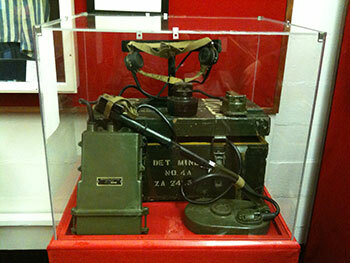 Less cloak and dagger and more mainstream the recently acquired mine detector exhibited by CMS at the Polish American Museum in the CMS Annex never the less saved thousands of lives. Developed by a Polish Army Combat Engineer Officer it was the most effective magnetic mine detector of the war and was used by all the allied forces. Most referred to it not by nomenclature but simply as "the Polish Mine Detector". 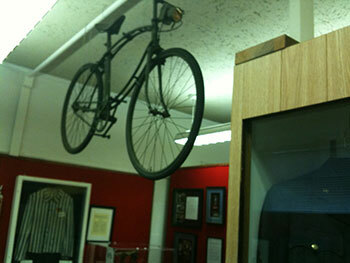 The beautiful case was done in house by Steve Szachacz with input from Barbara Szydlowski.